If the price of a treat is too good to be true then beware. Cheap often means that a lot of fillers and not so great ingredients are being used. Artifical colors and flavors, animal digest, corn, wheat, and soy are all things I consider not okay in treats. Treats need to be small enough that your puppy can chomp them down in one bite so you can move on with more training. Of course, the size of your puppy also matters. Training a toy breed versus a giant breed can make it so that once treat may work well for one puppy and not the other. Treats that you can break into a smaller piece are sometimes nice to have because they can be used with any size puppy. Treats can be expensive. At the same time, you get what you pay for a lot of the time. Your puppy is at a very critical stage in life. Now is not the time to sacrifice quality to save $2-$3 on a bag of treats. Sometimes the name of the company and how big of an advertising budget they have can come into play. Flashy ads are not going to entice me to buy your brand if it is not good enough for my dog due to ingredients and the profit goals your company has. Consistency is critical to success when training a puppy. You have to do the same thing over and over until they get it. You also need to realize that if you are not consistent they will be very confused and not do what you want or at least not as fast. Some pet parents use clickers for training so dogs learn a consistent signal to do something. It helps you be consistent even when you might be stressed and finding it hard to do. Some dogs will eat anything but they will stay focused better if you have something that is incredibly delicious and different than the average treat. You want them to really look forward to training time. You may even consider only using one type for training and another quality one for just standard treats. All work and no play is not going to encourage your puppy to like training time. Spend some time with your pup playing too. You don’t want them to get to the point of running or dreading when they see you coming to spend time with them. A walk in the park or some tug of war in the backyard are good ways to end training time on a positive note. Try not to stop training on a negative note. Stop training time after your pup has done the right thing in some way and give them a treat. This is my top pick because they simply work wonders when it comes to training a puppy and getting their attention. 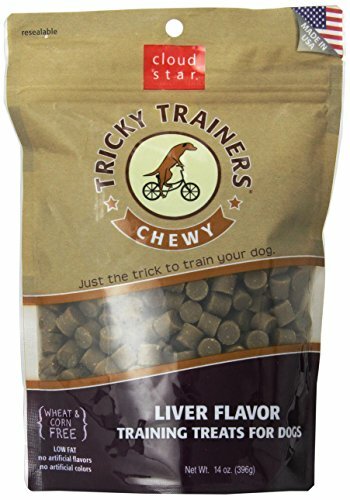 Even pups with the shortest attention spans will be all yours if you have a few of these freeze dried pieces of liver to offer up for good behavior. I really like that pieces can be easily broken up so that you can offer a really small treat if needed. The 21oz size contains up to 475 treats! This means that you can get through a lot of training with just a single tub. For those that like to keep it simple, you cannot get simpler than this single ingredient snack. These treats are made specifically for training and when you need to get the attention of any dog. These are small and soft treats that are suitable for really tiny puppies. Although soft, they are not made with cheap fillers such as corn, wheat, and soy. These treats are made of a combination of chicken liver, barley flour, and potato flour. They add some maple syrup for sweetness and gelatin to bind it all together. Although these treats have a longer ingredient list than some in this article, they are still something I would not think twice about giving to any of my dogs. Purebites are made of 100% New Zealand Lamb liver and nothing else. 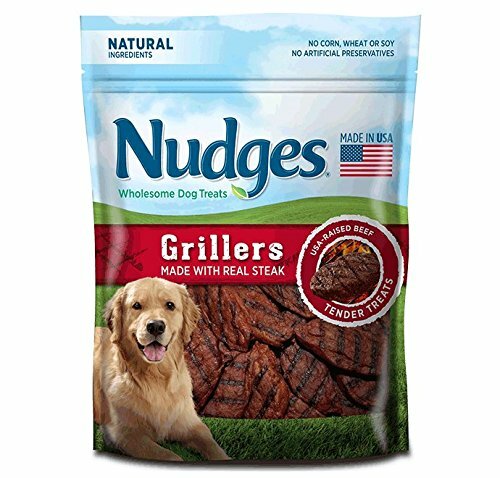 If you want to give your dog something besides beef liver, this is a great option. Like any freeze-dried liver product, you can crumble them into smaller pieces for smaller dogs to help them go further during training sessions. This size bag is convienent and reasealable. 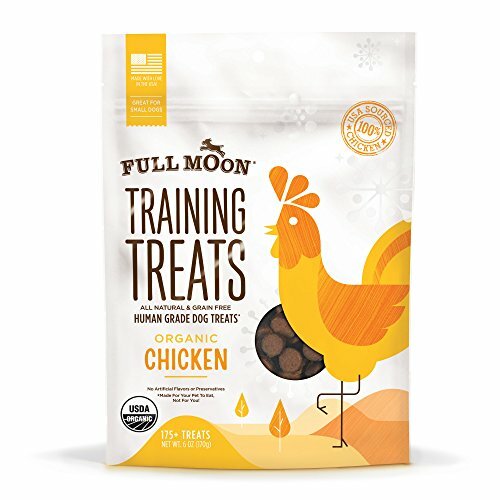 I like Full Moon Organics because they are really striving to provide the highest quality treats and snacks available for a dog. These treats are made of chicken! I know how crazy my dogs go over chicken and I definitely remember using these treats when they were puppies. I have Great Pyrenees and they can be pretty stubborn regardless of their age. These treats take care of that stubbornness with ease. Each bag contains at least 175 treats so they can get you through a lot of training sessions without spending much. You might already be familiar with the Wellness brand name if you have read any of our dog food reviews. They make quality food and snacks for dogs. 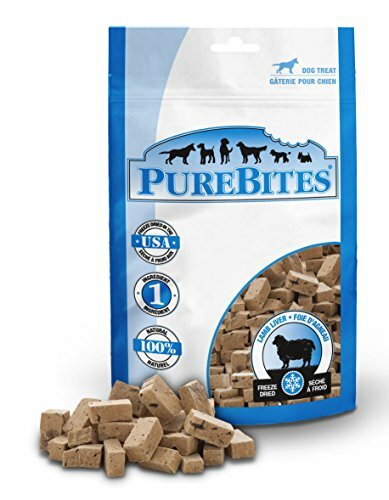 These grain-free training treats are made with lamb and salmon and are the perfect size for rewards when your puppy is excelling at their training. These are sized right so you don’t have to break them apart. 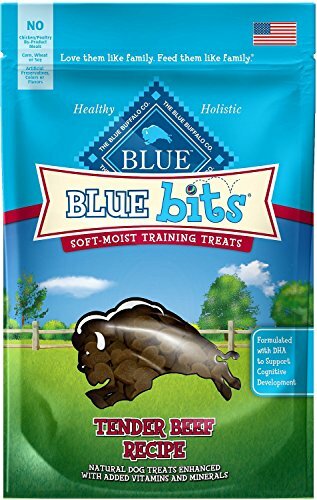 Blue Buffalo is a premium brand when it comes to dog food and treats. 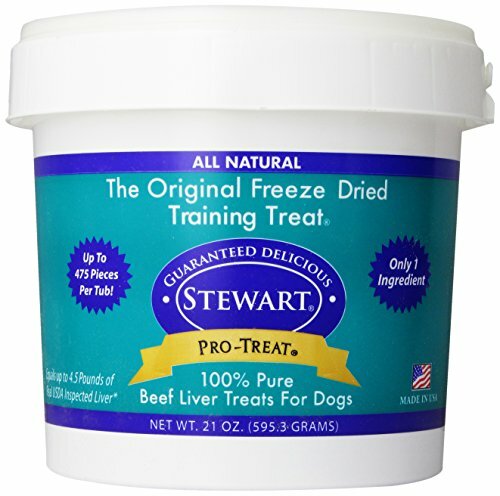 These training treats are soft and delicious! At this price, they are a good deal for training even the most stubborn of pooches. You can choose between beef, chicken, salmon or turkey flavors so there is something for every dog! 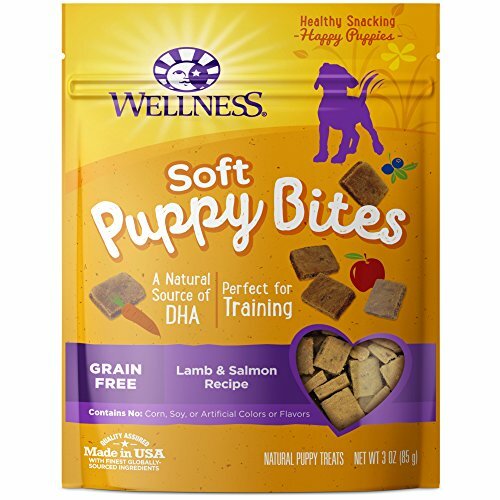 This formula of treats has DHA which helps you raise a smart puppy! Like all Blue Buffalo products you won’t find any artificial ingredients or cheap fillers. 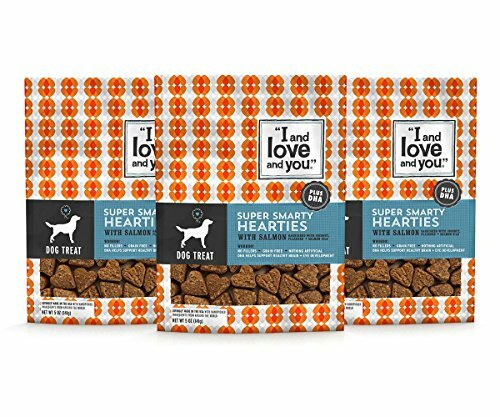 The treats are an adorable heart shape and designed to be small enough to be easy to give any dog without having to break up pieces. This is a brand you probably are not familiar with but you should be! Nudges is very upfront about what they put into the treats and snacks they offer. Real meat is the first ingredient. Nudges uses no artificial colors or flavors. All ingredients are sourced in the USA and they refuse to use any animal byproducts. The price is great for those on a budget, and they are soft so you can break them into smaller pieces during training or for use with smaller dogs. This treat comes from a maker of very high-end dog food and contains nothing but the best ingredients. There are no artificial colors or flavors and no animal by-products. These chicken-based treats come in a cute heart shape and are ideal for training puppies. They have a lot of natural DHA in them to help puppies develop a strong and healthy brain. You can buy these treats in a three pack and get a better deal. It is always good to have extra treats on hand for training. While this is not treats, I think it is worth it to include an affordable training kit to carry snacks in. 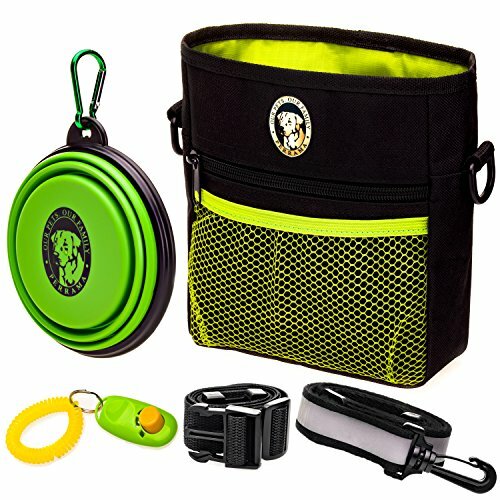 This kit also includes a poop bag dispenser, a training clicker, and a collapsible dog dish for when you are out and need to give your dog water or a little bit of food. Any pet parent could benefit from a kit like this. Just like you, pooches enjoy a change in flavor once in awhile. Most pups tolerate mixing up puppy treats just fine! Of course, some dogs are pickier or more sensitive than others so you may want to try out a few different types right when you get your puppy.